The newest Bollywood girls are a motley lot. With their style and oomph factor, they have made their own way in the world of showbiz. Alia Bhatt, daughter of filmmaker Mahesh Bhatt and Soni Razdan, made her dream debut in Karan Johar's Student Of The Year. With her fresh-faced appeal and dimpled beauty, Alia comes giftwrapped in sugar and spice. Southern sizzler Ileana D'Cruz is a fireball from down under. After establishing herself as one of Telugu cinema's leading actresses, she made a mark with her acting chops in Barfi! opposite Ranbir Kapoor and Priyanka Chopra. Although Diana Penty made her debut opposite one of Bollywood's hit jodis, Saif Ali Khan and Deepika Padukone, she managed not to be overshadowed and was well received for her performance in Cocktail. A heady cocktail of looks and acting, the model-turned-actress is a bombshell in the making. Don't get too close to her, she might spontaneously combust. Hotness Hall of Famer Sunny Leone is an entire fireworks factory by herself. The adult film star's Bollywood debut, Jism 2 may not have created fireworks at the box-office but she made sure to send the mercury rising through the roof. With Ragini MMS 2 next on her cards, we have no doubt that Sunny's filmy future is anything but bright. Esha Gupta made it big as a model before developing her Bollywood ambition. She was Miss India International in 2007 and featured in the Kingfisher Calendar 2010. After making her Bollywood debut with Jannat 2 opposite Emraan Hashmi, she went on to act in big banners like Vikram Bhatt's Raaz 3 and Prakash Jha's critically acclaimed Chakravyuh. Model-turned-actor Kristina Akheeva will be seen in the Yamla Pagla Deewana sequel. She has already invited enough publicity well before the film's launch next year and is a known face in the advertising world. The Russian born and Australian bred beauty is a rocket, and a noisy one at that. Amy Jackson is a firecracker made in London. The British model has wasted no time making her presence felt, both on screen and off it after her Bollywood debut, Ek Deewana Tha. The movie was a box-office dud, but she's still sensational. 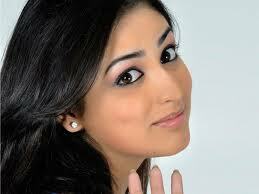 After a successful career on the small screen, Yami Gautam made her film debut in regional cinema, with Ravi Babu's Nuvvila and made a splash in Bollywood with Vicky Donor. Not only has the film been a hit, Yami's performance as a Bengali girl has also been well received. With Bollywood waiting to see more of her, looks like Yami is a chocolate bomb waiting to explode. Parineeti Chopra should come with a flammable warning. The first cousin to Bollywood star Priyanka Chopra is, in her own words, an "accidental actor". She made her debut with Ladies vs Ricky Bahl which may not have been the biggest hit in 2011, but this new girl in town swept all the best debut awards at all award functions. Her power-packed performance in her second movie, Ishaqzaade opposite newcomer Arjun Kapoor, also received positive response from critics and audience alike. Evelyn Sharma is a pocket sized rocket ready to explode with a loud bang. Even though her debut film, From Sydney With Love went unnoticed, she had already bagged four films even before the film released. Not to forget, Evelyn also managed to scorch the ramp in this year's Blender's Pride Fashion Tour. Sana Saeed won everyone's heart with her role as adorable little Anjali in Karan Johar's Kuch Kuch Hota Hai. And now she's all grown up and was seen playing 'a high school hottie' in Student Of The Year. While director KJo surprisingly kept her away from the limelight during the promotions of the film, we hope she turns out to be all fire under the icy exterior in the future. A deadly mix of Brazilian and Punjabi blood who won the Kingfisher Calendar Hunt 2012, bodacious Nathalia Kaur made her Bollywood debut with Ram Gopal Verma's film Department and sizzled in the item number to the much-hyped Dan Dan song.